You know those rare, splendid days when the fog disappears and the sun shines 75-degree rays our way? It’s what most of us live for, after all. But the heartbreaking side to those sudden heat waves is that we’re mostly stuck in offices and cafés, slaves to the Internet instead of soaking up Vitamin D at the park. Well, those dark days are soon to be behind us! It seems that Google is shelling out $600,000 to provide free Wi-Fi to over 30 parks in San Francisco for a solid two years. Um, we’re pretty sure if you Googled “Hell, yeah!” right now, this news would be the first result! 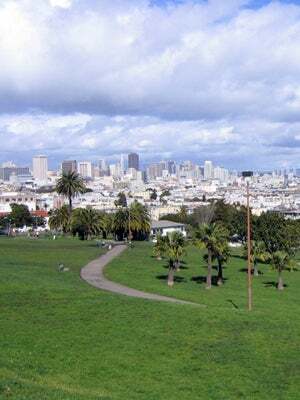 Among popular grassy patches like Dolores Park getting web access, children’s playgrounds, plazas, and recreation centers will also be able to log on. You can expect to see the Wi-Fi network pop up on our screens starting next April, with development going underway in November of this year. To plan your outdoor workstation in advance, you can see a full list of the access areas over on Tech Crunch.